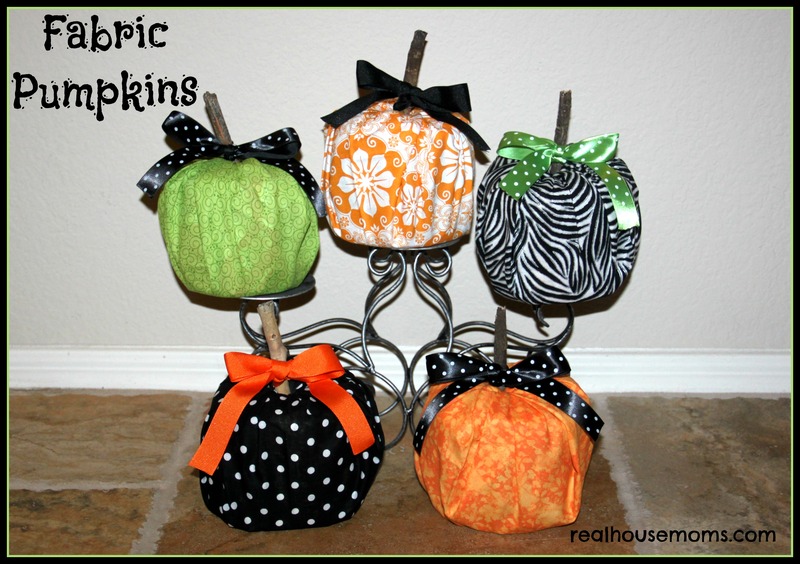 Fabric Pumpkins are perfect fall decorations. I have seen these pumpkins on Pinterest and thought I would give them a try. They are super easy, quick, and inexpensive to make. There are so many options of fabric that you can find at Joann’s or Walmart, so have fun choosing different colors and patterns. Pumpkins come in different shapes, so don’t worry about making these perfect. They will look great! Supplies you need: rolls of toilet paper, fabric (I used “fat quarters” that are 18in x 21in), newspaper (I used the ads that come in the mail), sticks, and ribbon. I loved making these fabric pumpkins and it was especially nice that they were extremely simple to put together!